Do you know the benefits that seawater can bring? 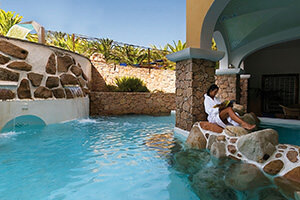 Thalassotherapy in Sardinia gives you wellness and beauty. Choose one of the Delphina hotels and resorts with a Thalasso Centre and let yourself be reinvigorated by the energizing power of seawater. You will re-awaken a range of marvellous sensations. 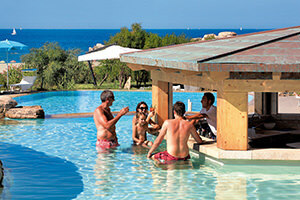 Revitalise the body and soul during your holiday in Sardinia. Immersed in the purest waters and surrounded by Nature that is simply unique, you will be able to enjoy endless moments of pleasure and relaxation. Thalassotherapy is an age-old practice that involves the skillful use of the various benefits that come from the marine environment. Human beings are made up of about 70% water and once immersed in heated seawater at different temperatures we instinctively and naturally find this to be the ideal condition for relaxation and balance. So relax and pay more attention to the physical needs of your body - the pleasure that you will experience thanks to Thalassotherapy is pure psycho-physical wellbeing. Following a Thalassotherapy programme of two, three or four days will improve venous and lymphatic circulation, stimulate correct breathing, eliminate toxins, drain and stimulate muscle capacity by toning the tissues. Sea water is also a valuable resource for awakening energy, sexuality, and putting you in a good mood. 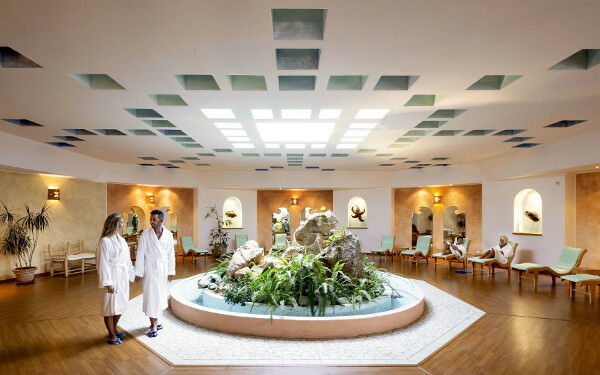 Surrounded by gardens and amidst the typical colours and fragrances of the most beautiful part of Sardinia, the Delphina Thalasso & SPA Centres comply with international Thalassotherapy protocols, using water for the pools and treatments that is continuously extracted from the sea. Thanks to the unspoiled marine environment of North Sardinia and the currents of the Straits of Bonifacio, the La Maddalena Archipelago National Park and the Golfo dell’Asinara, the water used in the Delphina Thalasso & SPA Centres is of excellent quality. When talking about Thalassotherapy it is essential that the Centre is right by the water or as close as possible. The sea water used is pumped ashore from hundreds of metres out at sea in order to guarantee its purity, thus preserving all its positive properties. No purifying chemical treatments are used so as to ensure that the microbiological quality of the marine environment remains unaltered. Discovering the extraordinary world of Thalassotherapy and the benefits of the SPAs in the Delphina hotels and resorts is easy. Three relaxing half-day treatments to turn your holiday in Sardinia into a wellness experience. Look for the Discover Thalasso and SPA offers in the hotel or resort that you have chosen and select them when making your booking. Six elegant Thalasso & SPA centres facing the sea, from the Costa Smeralda to the Golfo dell’Asinara, for rejuvenating holidays among the Mediterranean scents and perfumes.